Employees with strong soft skills are leading the charge into a new age of communication-driven business. Effective communicators improve their teams and their organizations as a whole. No job today can be performed optimally without soft skills, the abilities that go beyond raw information and involve emotional intelligence and communication aptitude. The increasing focus on these interpersonal competencies should be reflected in the way companies hire, onboard and train their employees. Operating a business on the basis of these kinds of intelligence may enable organizations to strengthen the bonds that hold their teams together. Even with modern technology at employees’ fingertips and solutions that mean they can contact one another at will, infrastructure is no substitute for great communication. People who can relate to others and express themselves clearly are valued contributors to both internal projects and external messaging. One of the most exciting things about soft skills is that they are relevant in every conceivable department. The following are a few of the ways these abilities are proving useful. Business today is all about closing the sale, convincing others to come around to a certain point of view. As Chicago Post-Tribune columnist Leanne Hoagland-Smith recently noted, this ability isn’t just a key competency for salespeople. Every employee’s relative success or failure in getting their ideas heard is related to sales ability, whether the audience is consumers or fellow workers. Soft communication skills are highly interwoven with technology. While today’s innovations make it possible to speak to clients and coworkers more easily, these methods also leave room for misunderstandings and a casual tone that can undermine businesses messages. Hoagland-Smith added that the simple outreach available with digital tech doesn’t hide poor communication skills, it amplifies them, as more people are able to reach out regularly. Training and personal development can attack this deficit of skills, but companies often overlook this possibility. Hoagland-Smith listed abilities such as empathy, persuasiveness and diplomacy as items that don’t get enough attention when it’s time for professional development. An effective office leader can give feedback in a resonant way. Soft skills are valuable up and down the chain of command, but the top is where they may be most relevant and important. Candidates for leadership posts may struggle once they reach the top, unless they’ve honed their soft skills on the way up. HR Dive recently pointed out that self-awareness is being recognized as an essential ingredient of leadership. More focus on this type of knowledge will represent a change from classic hiring and promotion strategies that have centered on the mastery of more technical subject matter. Workers who aren’t self-aware may be unclear on how their own personal goals, moods and ideas are affecting others around them. It’s easy to see how leaders who reach elevated roles without that skill may damage their departments’ effectiveness. Being mindful and understanding the connections between oneself and the rest of the team is an essential part of responsible and strategic leadership. Focusing training and promotions on hard skills alone, however, disregards this staple ability. Workers who receive unclear feedback from above – or no feedback at all – may fare poorly. Forbes contributor Mark Murphy recently highlighted the importance of clear communication between bosses and their immediate subordinates. This provides yet more evidence that great leadership candidates today possess good interpersonal skills. Training for individuals who show managerial flair can help them reach their potential by prioritizing these elements. While it’s reasonable to expect that employees may be happy with little communication from their bosses, research finds that the opposite is true. Workers want to hear from their leaders, clearly and often, to determine how they are doing and where they stand, according to Murphy. He pointed to Leadership IQ data that shows a correlation between people who would recommend their employer to others and individuals who receive constructive input from their bosses. Murphy added that leadership training may skip steps such as providing feedback to workers, and this lack of focus is harming organizations’ ability to get their teams on the same page. When bosses don’t know how to speak with employees about performance, they may end up unable to effectively address their own issues with team effectiveness. The end result is that no one is happy – managers can’t get their teams to perform up to standards and rank-and-file workers aren’t receiving the input they want. Soft skills cover a lot of conceptual ground, and therefore companies have options when considering investing in training courses. Perhaps a very specific lesson teaching managers to give constructive feedback is what the business needs to take its leadership structure to the next level. On the other hand, more general courses on leadership and teamwork may prove helpful for getting strategy on the right track. 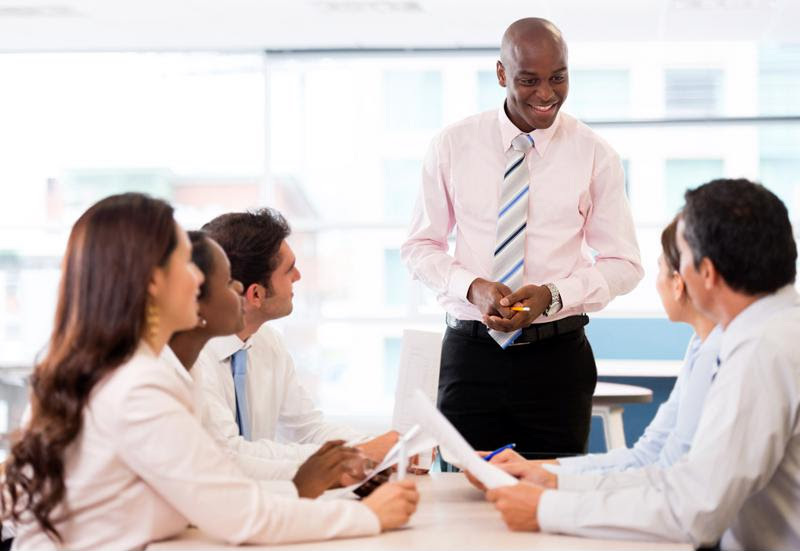 Communication skills, so relevant throughout the organization, are another useful topic. In general, soft skills are regarded as more difficult to teach than their hard-knowledge counterparts. This doesn’t mean, however, that companies should back down from instructing their employees in interpersonal competencies. The importance of possessing these emotional and communication skills is too great to ignore them. This entry was posted in Office Culture, Professional Development and tagged communication skills, interpersonal skills, teamwork. Bookmark the permalink.